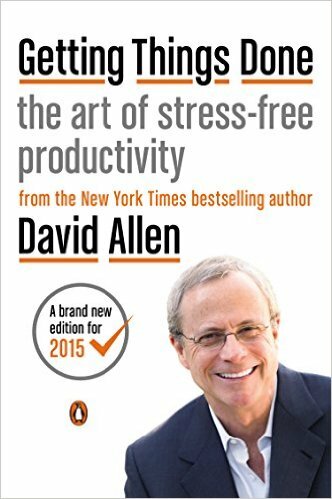 If you only read one personal productivity book, this should be it. Tags: Productivity, getting things done, scaling, growth, management. You can never catch up on email. Your to-do list grows instead of shrinking. There’s too much to do and not enough time to do it. Spoiler alert: There’s nothing earth-shattering in this book. Nothing in it will rock your world. You won’t be able to read and then say “This one thing I read in the book changed my life.” The book is full of simple common sense. When I read it I kept saying “Yeah, of course I should be doing that.” It’s a collection of basic productivity and organization tips, most of which I wasn’t doing, and which I hadn’t combined together at all. That’s where the true power is. Some tips work on their own–such as the idea of processing email each day and responding to those emails first that can be responded to in two minutes or less per email, then moving on to the rest that require more time–but if you take multiple tips and put them together, then you get exponential results. I read the previous version, which talked about Palm Pilots. I’m excited to read the updated version, because I need a refresher. If you’re looking to become more organized and productive, you can’t go wrong with this easy read. There’s not much more to say about the book than this. Oh, and if you really want to have fun, combine your reading of this book with The Checklist Manifesto and The Power of Habit.